Greetings from Gregory Zhukov; founder and CEO of CS Odessa to all the readers of the universal mind mapping file format proposal blog at Visualmapper. I am indeed very pleased and excited to read the enthusiasm and energy behind this idea. I personally see this (in the long term) as the ability to interoperate between applications in a fluid manner, and also extending this capability to all desktop and web products. For many years now, users have been asking mind mapping software developers; when will our applications be a standard among individuals and organizations? The answer is; when we provide the conditions for infusing mind mapping into the mainstream. I believe this condition is provided in the guise of a Unified Business Graphics Format (ubgf). For the past 5 years at my developer organization (CS Odessa); we have been studying compatibility issues that often occur between our respective mind mapping products and other graphic applications; especially within our own ConceptDraw office productivity suite. The end result of our work has been realized with the successful integration of our own three software applications of Mindmap, Pro and Project using our "In Gyre Technology". Looking at the wider implications of the interoperability success we have experienced with our own products; the issue of file standardization was one of those epiphanies that screamed of importance, for CS Odessa, and more importantly for the wider group of mainstream mapping developers too. The benefit for the end user community is why I am committed to supporting a Unified Business Graphics Format within my particular software and that of my fellow developers at other notable organizations. From an approach viewpoint I fully agree with Craig Scott that the file format should "not be over engineered"; but make it a well organized step for delivering to mind mapping users a file format which will provide major benefits, and a seamless data exchange of mind mapping data. The ubgf format (in my opinion) must first of all be focused on servicing the needs of the customer over that of the vendor. Adopting an existing format may be a consideration, but I challenge our fellow developers to push their thinking further, and think out of the box. It's simply not about any particular developer at all; it's all about, IMO; a collective work of immense importance for the furtherance of the products we, as developers, produce. Let’s agree to work together for the purpose of building a better file framework to help address customer requirements of interoperability and also assist the drive for mainstream adoption. May I suggest the first order of business is to identify all of us (developers) who have an interest in this project to assemble in a group on Linkedin? We can rough out our objectives regarding how we may work together on this significant groundbreaking project. I have taken the bold step of opening a Linkedin forum titled; Mind Map Developers - Unified Business Graphics Format Group. During my many years of consultancy; I have noticed one aspect of the power of mind mapping that is recognized by all of my colleagues and clients alike. It’s the use of a mind map to graphically convey, communicate and present data, information and knowledge. The graphical capabilities of most of the mainstream mind mapping products are borderline Photoshop. The ability to insert, manipulate and position images into the framework of a map has been one of the functions that have been the focus of my work as a consultant. The use of images and icons within a mind map; borders also on the Information Architecture/User Experience arenas and the graphical facilitation arena. I don’t classify myself as being qualified to distinguish my skill set within the mentioned professional arenas; yet it is clear to me that we information management types bisect (on many occasions) the established professions of the IA/UX and graphical facilitation arenas. Here’s an image I shared with a colleague relating to the Ford Production System (FPS). FYI; the software used to create this map image was Mindjet MindManager 9; this is IMO the most polished and capable product for creating this kind of result. 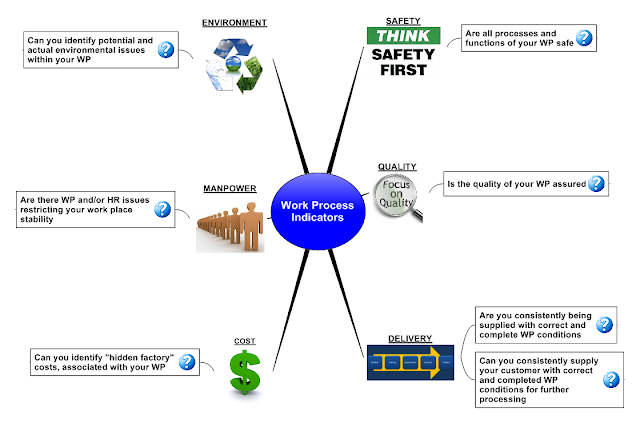 The Image above was used as a means to convey, communicate and present (to both staff and labor) the basic understandings and self auditing capabilities (potentials) of all employees. This approach to using mind mapping mixed with paragraphs of text as questions/instructions and inserted relevant images were noted as being extremely powerful as an information exchange medium. If you are using mind mapping within your established business environment; consider using this format of use as the ideal information exchange medium. I would be pleased to help you use mind mapping in this way to enable a more unambiguous format for information exchange within your organization. I personally printed this image off as an extremely large (poster) format. This image was placed strategically at positions within a manufacturing facility. The feedback was excellent, and the employees regardless of position were impressed enough to make note of the power of the mapped format for future information/training use. Let me know how and where you use mind mapping in this way and the feedback from your colleagues, suppliers, staff and labor? I recently received communication from Gregory Zhukov; president and founder of CS Odessa based in the Ukraine. Gregory has proposed the standardization of an Universal mind map file format. This is not new of course Vic Gee wrote of this during 2007 and nothing came of it. So this proposal comes at an opportune time IMO. The proposal of a universal mind mapping file format coming from a mainstream developer rather than a consultant/writer is rather significant though. I certainly understand the leading mind mapping software developer, may indeed perceive this proposal as a threat to their established and most deployed/exchanged mapping format. And; for the smaller developers; this would simply be perceived as an open door to the larger developers market place. Let's not forget about the users; they are the most important part of the process that enables the further use, development and evolution of all respective software products. The users are privately asking for some kind of standardized XML format that can be read across product range. Regardless of the perception of this proposal; an open mind and forward thinking philosophy may be best rested upon for this proposal. The plethora of software products relating to mind mapping as a base graphical function and capability has, even until this time, struggled to break into the mainstream. At this time; Mindjet, CS Odessa, NovaMind, ThinkBuzan, Simtech, Matchware, MindGenius and Seavus are to mention but a few (apologies if you're not mentioned here) product developers that are, and remain to be relevant. Cloud developers such as Comapping and Mindmeister are without a doubt leading the cloud Mind mapping revolution. So maybe; just maybe this proposal by Gregory Zhukov as a mainstream software developer; may spark positive debate and an outcome that gains more exposure for mind-visual mapping products period. So here's Gregory's proposal, it is verbatim of an email invite that was posted to quite a few developers and thought leaders within the mapping arena. And; I look forward to reading Gregory's input and feedback, which shall be posted as a new and separate blog post; in order to create a clear and unambiguous reply. 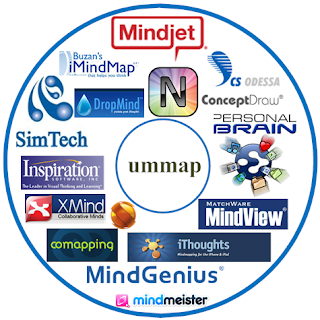 Mind mapping software users have for some time, been voicing their frustrated need for a universal mind map file format (ummap). This would make it so much more convenient for users to effortlessly share mapped information with fellow mapping users who may use alternative mapping products. The growing number of mind mapping product logically express a critical need for standardization. 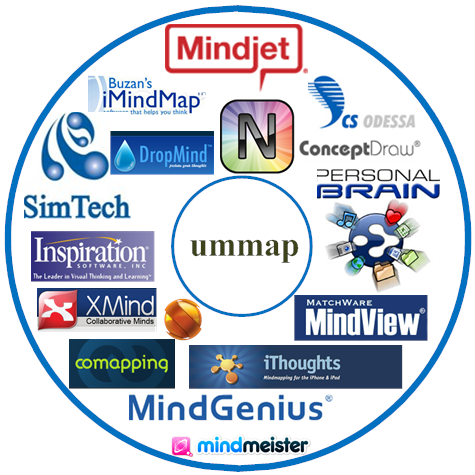 At this time; the dominant obstacle to a mainstream adoption of mind mapping product is the lack of an ummap format enabling interoperability in and through a wide scope of information processing product. Gregory Zhukov; president/founder of CS Odessa cordially invites you to join a round table group of fellow mind mapping developer organizations. The purpose of collectively developing an ummap format would be for the benefit of participating developers with a laser focus on current and potential end users. The ummap format would indeed be a new standard that shall remove many barriers to market adoption of Mind mapping software product. Raise your hand of interest in this revolutionary change to the Mind mapping arena. With your participation; the work is about to begin.